Courtesy of HBO. Please note this is a promotional photo for press only. The invasion of Iraq was supposed to turn the country into a democracy that posed no threat to the United States, or to the rest of the world. Thirteen years later, Iraq has collapsed into warring states. A third of the country is controlled by ISIS, which has also taken huge amounts of territory in Syria. 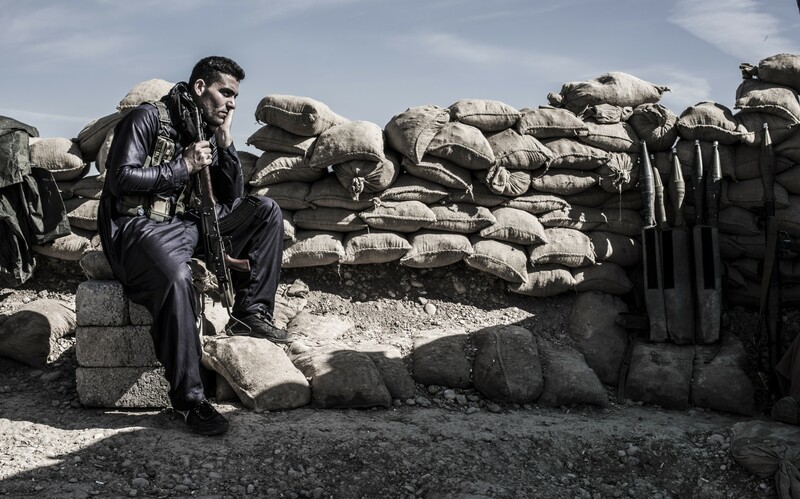 Debuting SUNDAY, JAN. 31 (10:00–11:00 p.m. ET/PT), the exclusive HBO special VICE SPECIAL REPORT: FIGHTING ISIS follows journalist Ben Anderson as he embeds with Iraqi fighters battling the Islamic State. He gains access to the three front lines in Iraq, where Sunni, Shiite and Kurdish forces are fighting for their lives. Anderson also visits Russian military forces in Syria and meets captured ISIS fighters in Kurdistan. The special features interviews with political insiders such as Ryan Crocker, the Bush-appointed former U.S. ambassador to Iraq, Ali Khedery, the longest continually serving U.S. official in Iraq, and Russian Prime Minister Dmitry Medvedev. Viewers will gain a deep first-hand understanding of the rise of this murderous group and what strategies exist to end its reign of terror. VICE SPECIAL REPORT: FIGHTING ISIS debuts five days before the Emmy®-winning HBO series “VICE” kicks off its 18-episode fourth season, on Friday, Feb. 5 (11:00–11:30 p.m. ET/PT).